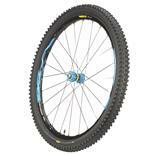 It's a 29er and it is comfortable to ride and rolls well over obstacles. Juicy 7 brakes never performed properly. The rear brake has been adjusted and bled several times and the adjustment never lasts more than a day or two. It appears the brake lever needs rebuilding and it has been that way since the day I bought it. To remove the rear wheel requires removing the rear brakes and the rear drop out is prone to the rear tire shifting backwards while banging down hill and braking hard. Not well designed at all. Not worth the money, there are better bikes out there for similar or less money. Having never ridden a 29er before, I can honestly say they are much more capable than 26ers, but it will take me some time to get used to it. Probably the best example of that is rocky trails and trails with lots of ruts. Today I rode Elfin Forest (small regional trail in San Diego). The trail was full of jagged rocks and you really have to know how to negotiate your way through it. However, I could sense a few moments where I wouldn't even think about where I would turn or how I would clean a section and just 'roll the dice' and let the big 29 inch wheels roll over a large rock rather than going around it. The Bianchi SOK never skipped a beat. It would just hit the rock and go on like it was never there. 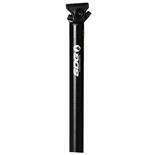 I also have to attribute some of that ability to roll over obstacles to the RockShox Reba SL forks. I could tell they were working overtime from the hissing sound it would constantly make from the compression/rebound cycle. The other positive aspect of 29 inch wheels was the hill climbs. They definitely made the climb easier, but beyond that the wheels also seemed much more planted. There is also a 'wow factor' for me because the last bike I rode was an 26" 8 speed dean oscar with v-brakes. I really felt like I had gone from a Ferrari 308 GTO to an Italia 458. The brakes, for example, really made control on the descents amazing. Elfin Forest trail ends with a downhill section called the 'Way Up Trail'. This trail is extremely technical and is common use, so there are many hikers that you'll come across all the way down. I chose to ride almost like a 'trial's bike guy' and take things slow. The amount of control you have over the bike using Elixir R discs is nothing short of sheer joy. The amount of control you have over the bike as you descend steep rocky terrain is the equivalent of having the same control over how much paint you draw from a camel tipped brush to laydown the next Da Vinci or Renoir. The feeling is sublime, even, consistent, and effortless. There was no need to modulate and zero fade. My final comments are that I will probably continue to ride 29ers but there's a learning curve. They definitely require a little more finesse and if the trails are super narrow or tight, these bikes are more like hummers than dirt bikes. Yeah, you'll cover the same ground, but you'll think about it how to cover that ground much more on the hummer. Value for money? Hey I got it on Ebay and the custom build wasn't much for me, so 5/5 on Value. 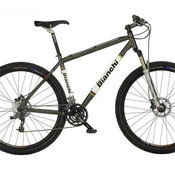 Overall, I give 29ers and this Bianchi a 4/5. Smooth as butter over rocks and roots, climbs like a goat. This bike rides like a champ, rolls over almost anything. After this one I doubt I'll ever go back to 26". Takes some getting used to in tight corners but more than makes up for it up and down steep, bumpy trails. The geometry on this one is just right for me -- the frame was obviously built with the same attention to quality as are the world renowned Bianchi road bikes. None so far...other than I would love to have a FS 29er now! I purchased this as my first 29er in Dec 2009. I figured I would use it as my race and Cross Country bike and use my full suspension for the downhill stuff. I've had it now for 6 months and have only used the FS once. I ride this hardtail on the downhill stuff all the time. It has made me a much more skilled rider. I am sold on 29ers. I rode the GF Xcaliber 29er w/80 mm fork and it was too little front suspension for me. The 100mm Rockshox fork is great (Ive only had FOX prior and was nervous but I haven't noticed any difference. )This is a very fast bike. I'm climbing stronger than I ever have and getting over rocks better than ever too. I haven't noticed problems with cornering and my handling is better. This is a great mountain bike. 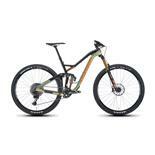 It's fast, light and comes with high end components. It is my first 29er and I love it. I am 6'1" and it fits me better than the standard mountain bike. At only 28 lbs., it is very light compared to many bikes in it's class. I also got a closeout 2008 for a great price. My Bianchi did come with a warranty. Horizontal Dropouts are a bad design for a xc bike, skewers are not strong enough to keep wheel straight, the 09' went to vertical drop outs, hmmmm. Bad design. Looks like they got it right with the new one. I would love to trade my frame in for one with vertical drop outs. Buyer beware I guess. Reasonably light, nice paint, Italian. Expensive, no warranty, in fact, it appears there is no contact information for the U.S. distributor on its website. Costs too much for a frame that saves a small amount of weight but leaves you without any warranty rights. Italian pedigree is certainly a plus, but spending hundreds of extra dollars for a name is something my wife does when purse shopping. Since the bike is taking a hard knock on value, I'll be generous and give it 4 Chilis overall. 3 Rides into owning this bike and the best thing I have spent money on in years. This thing is amazing, I will be doing this big girl for a long time. I already have one bianchi steed in my stable BASS and I have been riding the hell out of this thing for 2 years after my buddy and my brother both owned this bright orange hussie. But I will never look back to the smaller wheel. Badass top to bottom, feel like I am on my own rails! I'm still in the "honeymoon phase", but this is one versatile bike that's a lot of fun to ride. Not road race nimble, but very comfortable on paved roads, this bike excels once the pavement ends. 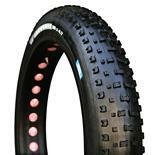 Very wide spread gearing allows this to climb almost anything and still give you all the speed to need on flats. 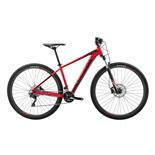 The hardtail design transfers power effectively to the rear wheel while the sprung front absorbs most of the impact. If you've been thinking of getting a "big wheel", Go For It with this one! Overkill for urban riding or exclusively Rails to Trails, excellent choice for mixed riding / weekend warrior and possibly a good training bike for serious competition. Outstanding price / performance ratio.